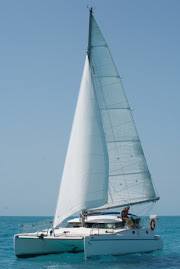 Flat seas and hot weather on the trip from the Exumas to Long Island. 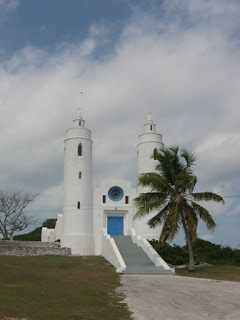 Clarence Town's most picturesque church, built by "Father Jerome". 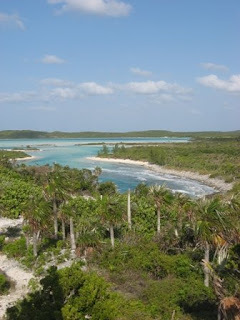 We climbed the narrow stairs of the left tower. 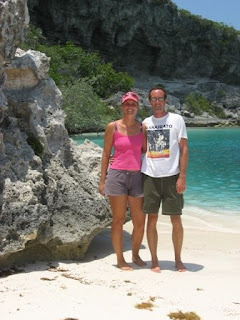 Mark and I in front of Dean's blue hole. 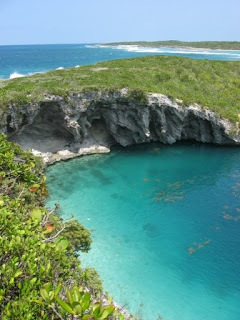 Panoramic view over Dean's blue hole and surroundings. 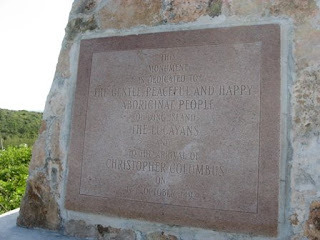 The "contradictory" plaque on Columbus Monument. Beautiful view from the hill at Columbus Monument. 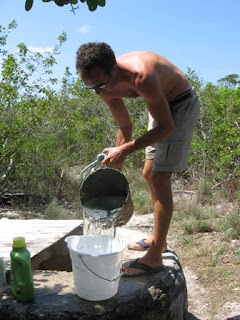 Salt Pond, Thompson Bay: Getting water out of the well to do some laundry.